Having made some preliminary comments on Pope Francis's new encyclical, I now want to develop more specific thoughts. First, I would call attention to Francis's constant reference to the Earth as “our common home” — not a planet or even an environment, but home. All the economic questions he explores later in the encyclical are therefore grounded in the etymology of “economy”: the governance of the oikos, the household. Such domestic language is a powerful means of fighting the abstracting effects of any attempt to “think globally.” Francis seems to be saying that if you want to act globally, you should think locally: think of the earth as your home, one you share with others to whom you are accountable. Remembering our responsibilities to the other members of our household is not something that we humans are good at, which is why Francis titles his third chapter “The Human Roots of the Ecological Crisis” — a subtle invocation (and rebuke) of Lynn White's famous essay “The Historical Roots of Our Ecologic Crisis”. 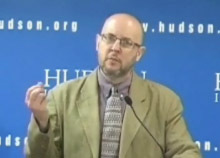 White argues that Christians have historically used Genesis 1:28 — in which God gives to human beings “dominion” over the rest of creation — as a justification for exploitative abuse of the environment, and are therefore largely to blame for the current “ecologic crisis.” Francis implicitly counters White's claims by noting that thoughtless exploitation of “our common home,” including the other human beings with whom we share that home, is a universal human tendency, and that Christianity offers the means by which this might be corrected. Jesus lived in full harmony with creation, and others were amazed: “What sort of man is this, that even the winds and the sea obey him?” (Mt 8:27). His appearance was not that of an ascetic set apart from the world, nor of an enemy to the pleasant things of life. Of himself he said: “The Son of Man came eating and drinking and they say, ‘Look, a glutton and a drunkard!’” (Mt 11:19). He was far removed from philosophies which despised the body, matter and the things of the world. Such unhealthy dualisms, nonetheless, left a mark on certain Christian thinkers in the course of history and disfigured the Gospel. Jesus worked with his hands, in daily contact with the matter created by God, to which he gave form by his craftsmanship. It is striking that most of his life was dedicated to this task in a simple life which awakened no admiration at all: “Is not this the carpenter, the son of Mary?” (Mk 6:3). In this way he sanctified human labour and endowed it with a special significance for our development. Jesus loves and honors all of Creation: his rightly ordered love — manifested in how he treats other human beings as well as how he treats the rest of Creation — grounds and enables the true and proper dominion he possesses. Not just because he is the one “through whom all things were made” (John 1:3, Colossians 1:16), but also because of this right regard for the things that were made, “even the winds and the sea obey him.” And insofar as Christians have failed to imitate that right regard, they have “disfigured the Gospel.” Therefore the answer to “the ecological crisis” is not to set Christianity aside, but rather to acknowledge the ways we have disfigured the Gospel, and to return to Jesus once again as example as well as Lord. Writing in the New Yorker, Elizabeth Kolbert wrote that Laudato Si' “spares no one.” This is indeed true, but Kolbert doesn't mention that among those whom this encyclical seeks to convict are those who believe that our home can be recsued from its current misery without our first coming to know the God who has already known and loved us. "For Francis, an understand of who Jesus is..."
Ought to read "an understanding of who Jesus is..."
An insightful and wonderful follow up post though; I look forward to reading the third piece now. Thank you Dr. Jacobs; Text Patterns and all your writings are consistent must-reads.